An expanding group of American professionals is building support for a January 26 protest against the outsourcing of middle-class jobs via the H-1B visa program. The Protect U.S. Workers group has scheduled the protest in Connecticut, where the state’s governor is providing a subsidy to an Indian company which uses H-1B visa-workers to outsource U.S. middle-class jobs back into low-wage India. Nationwide, the H-1B program keeps roughly 650,000 temporary foreign workers in a wide variety of technology, medical, business, and education jobs. Roughly 70 percent of the H-1B visa-workers are recruited in India, where many people will work at low wages in the hope of getting a green card via the H-1B program. The H-1B program is one of many visa plans which lowers salaries for a vast swath of American college-grads by keeping roughly 1.5 million foreign graduates in U.S.-based jobs. has never been fixed to meet the original  promises made by Congress of safeguarding US jobs. Instead, the program has been expanded to allow even larger numbers of H-1B workers, admitting them for longer periods of time, while its flawed governing rules have remained as they were in 1990. 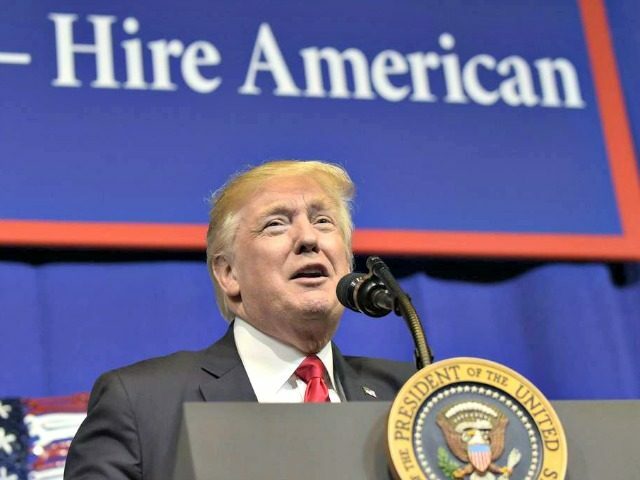 The report is titled “Reforming US’ High-Skilled Guestworker Program.” It was written by Ron Hira and Bharath Gopalaswamy. In October, the group used billboards to help defeat Kansas GOP Rep. Kevin Yoder, who was pushing legislation that would expand incentives for Indians to become low-wage visa workers in the United States. Yoder’s “country caps” plan was dropped by GOP leaders in December, despite lobbying by many business groups — partly because of a sharp fall in GOP support among suburban, college-educated voters. The group is also using Twitter to encourage turnout at the protest, amid fears among American graduates that any protest will allow recruiters to blackball them from professional jobs. The immediate target of the protest is the deal between Connecticut’s governor and an Indian company, Infosys, which is hired by many U.S. companies to transfer well-paid work and white-collar jobs to India. It was Governor Elect Ned Lamont who convinced the head of Infosys to come. But it was Governor [Daniel] Malloy who incentivized him to stay. “We took the heat of making the financial deal and he will get the benefit of the jobs,” Gov. Malloy joked. Infosys could get $12 million in grant money for meeting the job benchmarks [of 1,000 or 2,000 in-state jobs]. The three floor, 65,000 square foot hub was a $20.6 million project. Under the deal, Infosys is obliged to create local jobs. But it not clear if any of the local jobs will go to local Americans because Infosys typically hires Indians, usually via the H-1B, L-1, and Optional Practical Training work-permit programs. Many thousands of Americans’ jobs in Connecticut have been outsourced to India via the multi-year visa programs, each of which lasts from three to seven years. In 2017, the federal government approved 2,439 new H-1B visas for companies for work in Connecticut. The total included 163 visas for Infosys, which likely has a population of 500 H1B in the state, according to government data presented by MyVisaJobs.com. H1BFacts.com counts 14,000 H-1Bs in the state. Many of the H-1Bs are lower skilled and are paid — on paper — less than $90,000. Many reports show that many H-1B workers are paid far less than what their companies promise when they ask for the work visa. The federal government also allows foreign students and graduates to take U.S. jobs. For example, the University of Connecticut sponsored 1,133 visa workers in 2017, according to federal data. The former students are allowed to work via the huge but little-known “Optional Practical Training” program. The University of Bridgeport sponsored 1,075 workers, and Yale sponsored 961. Overall, in 2017, there were 17,000 foreign students in the state who can work for in U.S. jobs, according to federal data. In 2017, Infosys also won visas for at least 288 L-1 workers to take jobs in the United States. At The Hartford Insurance Company, for example, both technology employees and IBM contractors were required to train their replacements from Tata Consultancy, the Mumbai, India-based multinational IT service, and consulting company. Mass Mutual Insurance in Enfield replaced its tech workforce with H-1B workers from Cognizant, another multinational that provides IT services, and India offshore labor. Further, Connecticut General Life Insurance, The Prudential in Hartford, Prudential Annuities in Shelton, Aspen Insurance, Hartford Fire Insurance Company, The Travelers Insurance and Chubb Insurance all have laid off Connecticut white-collar professionals and replaced them with workers in the Philippines and India. Financial services companies, including UBS, Citibank, RBS, Citizen’s Bank, Voya and Bank Mobile, have all laid off white-collar professionals, according to [Trade Adjustment Assistance] filings. They have been replaced with either offshore foreign employees or by a combination of H-1B visa holders here in the U.S. and offshore foreign workers provided by Cognizant, Tata and Infosys – another Indian multinational services provider. The New Haven Register replaced their publication’s graphic designers with remote foreign workers. Thomson Reuters, Nielsen, and Unilever have all displaced Connecticut tech workers with foreign staff. Even Norwalk’s Pepperidge Farms and Milford’s Ann Taylor outsourced their accounting departments to India. One victim of the national outsourcing trend was Donna B. She is now retired to a small town in Arizona and earns so little money that she is not required to pay off the $50,000 in student loans she owes from her software education in 1989. Divorced and with five children, “I was 36 years old when I started” in 1989, she told Breitbart News. After her first job in Connecticut, she moved to Arizona by 1993, where she met her first Indian H-1B workers. “They did not mix with any of us and could not speak English,” she said. In 2002, “I had my first layoff and I could not find a job anywhere for four years,” she said. She applied for a job in Boston to repeat the same work she had done in Arizona, but “I could never get an interview, I was being stalled and nothing happened.” She eventually landed a job at Caremark but was laid off in 2010 after the company merged with CVS. “The next year they brought in Indians to do exactly what I had been doing,” she said. “I never found a job after that … I applied for tons of jobs, tons … I never got a response except ‘Thank you for applying.’” Many of the job interviews were conducted with Indians from the outsourcing companies, each of which has an economic incentive to fill jobs with cheap Indian H-1Bs, not Americans, she said. “I’ve gotten calls and I’ve gotten emails from Indians [when applying for jobs] … It just goes nowhere,” she said. The first, and most important, reform is to substantially raise the wages of H-1B workers. 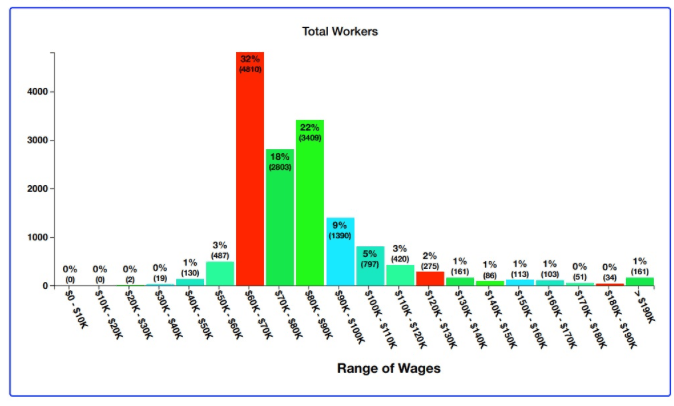 If the United States is going to invite in the “best and brightest” workers, they ought to be paid in the top quartile. The statute requires there to be four wage levels, but it doesn’t specify how the DOL calculates those wage levels. The Labor Department should raise the Level 1 wage to the 75th percentile, to ensure that the workers being recruited are indeed highly skilled and are not undercutting US workers. This can be done through an administrative procedure, either via policy guidance or a regulation. Second, employers should demonstrate they have actively recruited US workers, and offered positions to qualified ones, prior to turning to the H-1B program. … A recruitment requirement would also stamp out the preferential hiring practices used by many mass H-1B employers. Third, the program needs an effective and efficient enforcement mechanism. Current program compliance is complaint-driven, resting almost entirely on whistleblowers to reduce fraud … US workers who blow the whistle risk being blackballed from the industry, and there are no cases to date in which US workers have been successful … The government can randomly select a small percentage of employers to audit each year for program compliance. To ensure compliance by all employers, sufficient punishments should be meted out, with significant consequences such as debarment for willful violators. In addition to these three core reforms, there should be adjustments to the allocation process. It makes no sense to allocate H-1B on a first-come, first-served basis or, even worse, by random lottery—as occurs when the program is immediately oversubscribed. Instead, as the Buy American Hire American EO suggests, visas should be allocated to the best and brightest first. Nationwide, the U.S. establishment’s economic policy of using legal migration and visa workers to boost economic growth shifts wealth from young people towards older people by flooding the market with cheap white-collar and blue-collar foreign labor. That flood of outside labor spikes profits and Wall Street values by cutting salaries for manual and skilled labor of blue-collar and white-collar employees. The cheap labor policy widens wealth gaps, reduces high tech investment, increases state and local tax burdens, hurts kids’ schools and college education, pushes Americans away from high tech careers, and sidelines at least five million marginalized Americans and their families, including many who are now struggling with fentanyl addictions. Immigration also steers investment and wealth away from towns in Heartland states because coastal investors can more easily hire and supervise the large immigrant populations who prefer to live in coastal cities. In turn, that investment flow drives up coastal real estate prices, pricing poor U.S. Latinos and blacks out of prosperous cities, such as Berkeley and Oakland.